Bombshell Graphics wants to take your window graphics game to the next level. Windows are more than just openings to let sunlight in, they’re a canvas full of opportunities. Window graphics are an exceptionally helpful element to a company’s branding. Custom window graphics can show off your product and sales, or they can be used to display your company’s name around the building. Using window graphics exposes your company to both foot traffic and cars driving by. When it comes to creating your custom window graphics, the choice is in your hands. Our window graphics are made for your windows and your windows only. Our graphics will fit like a glove when installed. We give many options for what best works for you and your company. Our window graphic products come in a variety of options and styles including frosted, one or double-sided, and opaque to ensure the product is just what you want. Window graphics can be much more than basic lettering or a design, they can create an entire atmosphere for your company. Wrapping your windows can transform them from ordinary glass panes to a Colosseum or even a bustling New York street. Using your own photos or selecting from our photo inventory, we can transform the entire feel of your company. Perforation windows are a safe bet for companies that want to turn their windows into a mini billboard while also keeping that natural sunlight that draws customers in. Our perforated windows allow you to display information while not draining out any form of light. Frosting your windows can give any glass pane a cool, textured look, while also keeping privacy and allowing light in. If you want to keep your conference room private, consider this amazing window option. Some window graphics are easy to install, so easy in fact you could even do it yourself. We offer window decals and vinyl options that are removable and can be put back up once they are needed again. These decals can be used for seasonal events or promotions that are almost as easy as removing a giant sticker and won’t leave any excess glue behind. Our vinyl lettering and beautiful window designs are also extremely durable and waterproof. Being outside, window graphics are guaranteed to be tested for all weather conditions, but thanks to Bombshell Graphics, you never have to worry about your graphics being washed away, discolored, or scratched. Window graphics are used for a variety of applications including promotions and services. 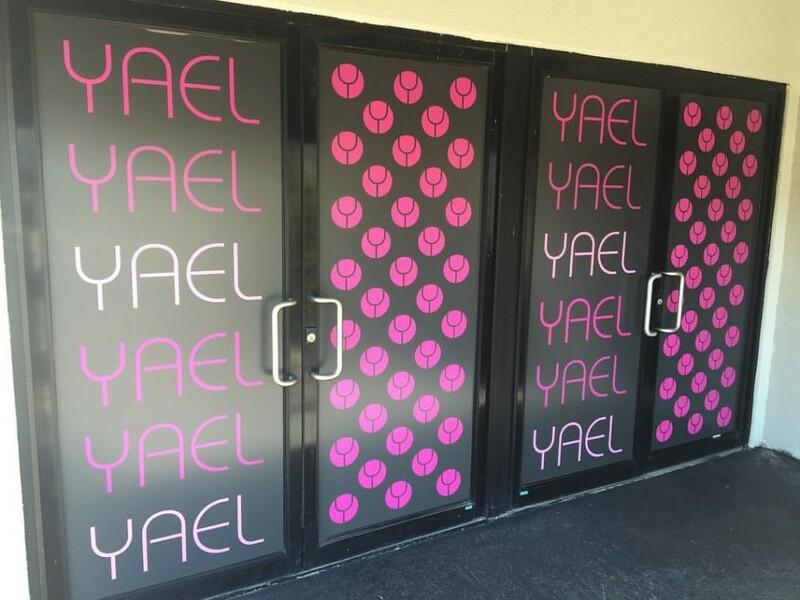 We offer window graphics in Boston, New Jersey, Connecticut, Delaware, Hartford, Long Island, Massachusetts, New York, Pennsylvania, Philadelphia, Rhode Island, Virginia, Washington DC, Westchester, and nearby areas.. Get the most use out of your companies windows and let the design group at Bombshell Graphics set you up. Call us today at 862-210-8408.